Do you ever look back and think how things have changed with the passage of time? How there used to be a huge phones and operator used to make calls one by one to fulfil their business needs? Now the time has changed, for good. Cloud communication has totally changed the communication scene. Essentially internet-based, cloud communication is voice and data based communications hosted by the third party. 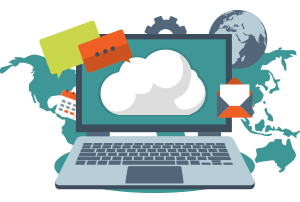 Cloud communication platform help the developers to integrate voice and messaging features easily and quickly into software applications using a set of APIs rather than building their own telephony infrastructure. 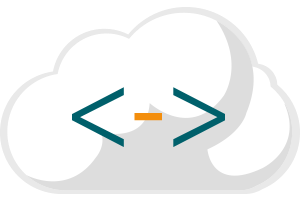 The developers can customize the API’s depending on the business needs. Cloud communications are a safe way to host your business phone solution. What is YOVO and what do we do? YOVO is a cloud communication platform that provides the business voice and messaging solutions. At YOVO, we build communication tools to help businesses communicate with their customers easily and establish a memorable brand and customer experience. Why Use Yovo for your business? Cloud offers businesses big advantages because information is accessible anytime, from anywhere. Yovo is Pakistan’s first cloud telephony company to provide simple and easy communication platform for businesses to seamlessly communicate with their customers. For small or medium sized businesses, the capital investment to set-up the Voice over IP (VoIP) could be too high compared to the potential return but Yovo can provide same services on lower cost. Pay for what you use, get started without any upfront capital and scale as quickly as needed. Business do not require multiple protocols, softwares or systems. Without separate equipment, bring together voice, SMS and videos onto a single platform with one API. Yovo provides a secure communication platform for businesses keeping the privacy of customers in mind. Protecting customer information is very important, we strive to build secure and reliable communication platform for our customers and their customers. For every business customer is very important. Yovo provides the communication tools that can help businesses build great customer relations and improve customer experience. Keep track of the communications. You can record and store all the useful information which can be beneficial for later use or at the time of dispute. Get detailed analytics on all the campaigns you run with information on the status of each call and SMS. With Yovo, you won’t have to worry if you’re on a vacation or out of town for some reason. You won’t miss out on anything. Be a part of the important meetings and conferences wherever you are. Since everything is recorded you wont miss out a thing. Send notifications and reminders to update your customers in real time. No more waiting and no more delays, crystal clear voice quality resulting in high success rate. As you don’t have to worry about making calls and collecting data one by one, the manpower can be used elsewhere in more productive manner. We provide best tools to empower your business in multiple ways. Cloud communications are slowly becoming the norm. 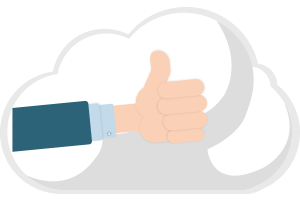 Most businesses find that choosing a cloud solution offers them better disaster recovery, more features, easy upgrades, and more. Plus, the price tag for a cloud communications solution is tough to beat.